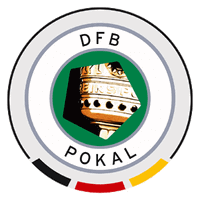 The DFB Pokal is a German knockout football cup competition held annually. Sixty-four teams participate in the competition, including all clubs from the Bundesliga and the Bundesliga 2. Since 1985 the final has been held in the Olympic Stadium in Berlin every year. If you're a Bayern Munich fan lifting this trophy will be a common sight. However there's one thing watching it on the television in your local bar but to say you where there live to see it is really something else. We at Football Ticket Pad can make this dream come true. Buy DFB Pokal final tickets online through our site from the beginning to the end of the season. DFB Pokal tickets are often in short supply so don't hesitate in snapping up any of the great offers we have on the market place below.